AMD is powering another of the biggest gaming platforms in the world as it forms the hardware behind the new Google Stadia system. 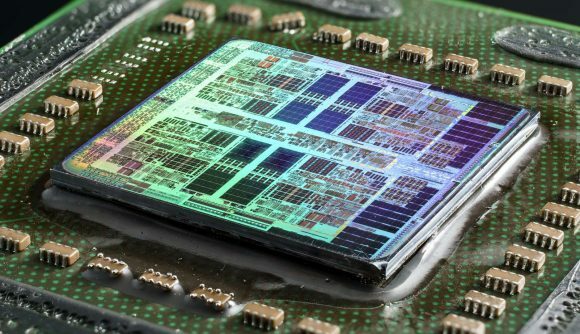 Not content with running both the PlayStation 4 and Xbox consoles, AMD has also collaborated with Google to create a custom 10.7 TFLOP graphics chip. That’s a graphics card with more raw performance than both of the fastest games consoles combined. That’s both the Sony PlayStation 4 Pro and the Microsoft Xbox One X. Damn. Google Stadia is the internet giant’s streaming platform, launching this year in US, Canada, UK and Europe. But it’s far more than that. It’s an instantly accessible, hugely powerful, interactive, and social setup that will already work on practically any device that you already own. It can do that because its AMD-powered hardware is based in the datacentre, accessible via more than 7,500 edge nodes across the globe. Essentially, you actually already own the most powerful gaming devices around, and it’s anything from the phone in your pocket, to the weakheart laptop stuffed down the side of the sofa. The potential of this new Google platform is vast, with a level of integration not seen on any system yet created. The flow of watching a game trailer on YouTube, to clicking a ‘Play Now’ button, and being in the game in as little as five seconds is enormous. The idea of watching a team game, such as FIFA or NBA 2K, playing out online, and queuing up via Google Stadia’s Crowd Play system to get involved on the pitch or court in seconds is incredible. It’s cross platform too, so if there are any other platforms left when Stadia launches you can play with their inevitably dwindling user base too. It certainly seems like a gaming revolution, and a hardware one too. 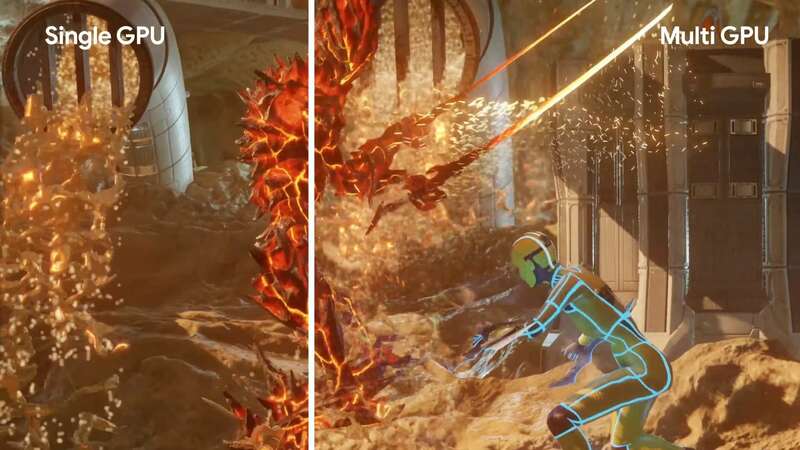 Google teamed up with UL, the team behind 3DMark, to show the power of the custom AMD GPU dealing with dynamic fluid deformation in real time. And it did it well, especially when it was utilising multiple GPUs. The fact the Stadia system in the datacentre means it is going to be able to allocate multiple GPUs to a gaming instance is mind-boggling, and assumedly means not just two, but potentially as many GPUs as is needed to offer the level of gaming performance the end user needs for a particular game. Maybe it will just need to use a single one of the 10.7 TFLOP GPUs, or maybe it’s greedy and needs three. Quite how Google and AMD have been able to create this server-side CrossFire analogue is obviously beyond me, or I’d be working at Google and not about to me made redundant in my position as a PC hardware journalist. 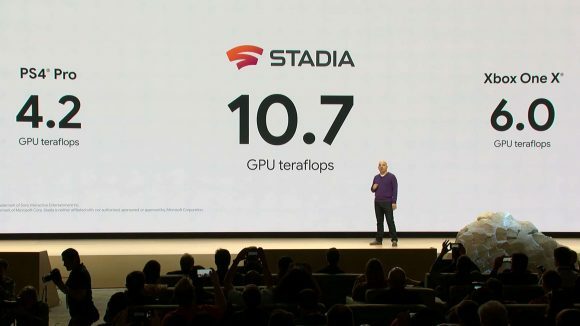 It’s not clear what sort of custom CPU is being provided in the Google Stadia system, but given that it’s not an AMD processor we can only assume that Intel have done some custom work for Intel and made them a new server chip. But that doesn’t really matter by the looks of things. The days of people like me worrying about what sort of system I should put together to play games on look like they’re coming to an end. If Google’s Stadia really does work like it did on stage at the GDC demonstration then you’d be mad to have local gaming hardware in your home. If you’ve got a decent internet connection – Project Stream required a 25Mbps link – then you’ll surely be better off gaming in the cloud. If you miss the feeling of sitting at a monitor and playing on a mouse and keyboard then you can just plug in a cheap, dumb PC desktop machine and still feel like you’re gaming on a multi thousand dollar monster of a rig. Because effectively you will be. The target for Google Stadia when it launches is 4K HDR gaming at 60fps, and the future is 8K gaming at more than 120fps. So, are these the end times for PC gaming? As a PC hardware journalist it kinda feels like it. But it’s okay because we’ll still get PC technology powering Stadia – we just won’t have any control over what that is. 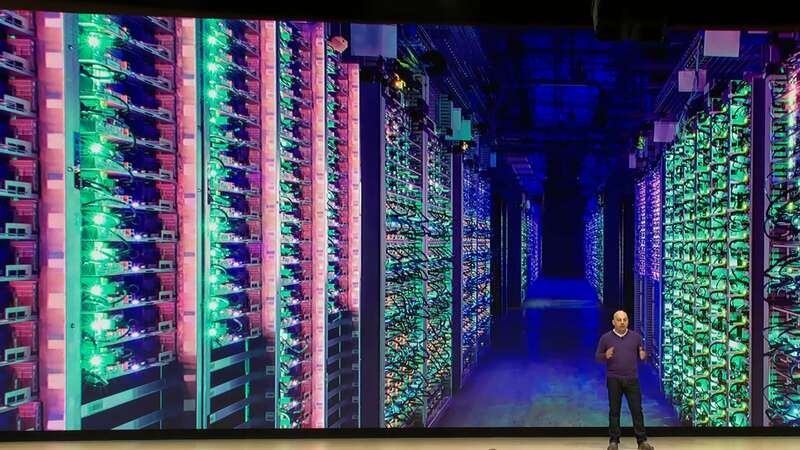 But you’re unlikely to care, because from the initial GDC bluster Google’s Stadia will deliver all the gaming power you need, instantly, and wherever you are and on whatever device you want to use. We also don’t know what this new service is going to cost, though it must surely be a monthly subscription. What we do know, however, is that game streaming has just come of age.